Congratulations! You’re purchasing or selling a home. Your lender will provide you with financing, your lawyer is searching title and the biggest investment you’ll ever make both financially and emotionally is protected against any unwanted claims. Right? Well… not exactly. Rights to Real Estate are not guaranteed. Unless you have title insurance, one of those things that only happen to other people could happen to you. Fraud, forgery, title defects, survey problems, even human error can delay, even prevent your home from closing… or worse, threaten your rightful ownership years later. Title insurance protects the insured against loss resulting from title defects and survey defects that would have been revealed by an up-to-date survey or Real Property Report. It can be used in lieu of a survey and can eliminate the need for costly off title searches enabling real estate transactions to close on time. Although most Canadians have only heard about title insurance in the past few years, it has been in existence for over 100 years in the United States and is rapidly gaining popularity in Canada. With title insurance, home buyers may have an easier time obtaining financing and the seller will have an easier time closing, even in the presence of problems with the survey or title. Title Insurance is an insurance of the right to property ownership. Title insurance insures against past problems that could affect your ownership in the future. A low, one-time premium covers you for loss or damage up to the policy amount and/or legal costs you would have to pay to defend your title. Once a policy is issued, a covered title is not your concern. It’s ours. The Title Insurance company will assume the risk. Benefits for the home buyer. Lower closing costs. No Survey required. No delays. Title insurance may reduce expenses by eliminating some disbursement costs your lawyer might have to otherwise incur. 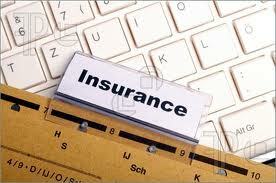 Provides coverage for matters that would be excluded from a lawyer’s opinion. All financial institutions accept title insurance in place of an up-to-date residential survey. Plus you eliminate delays and costs to fix most problems revealed. In addition to providing lenders with the most comprehensive protection available, First Canadian Title’s title insurance also protects assignees of the mortgage, including Canada Mortgage and Housing Corporation (CMHC) and G.E. Capital. A title problem. Someone with your same name has a court judgement against him or her. The bank refuses to release funds even though you sign an affidavit confirming this person is not you. A survey problem. It is discovered that the garage or pool of the house you are buying extends onto a neighbouring property, municipal setback or utility right of way. At any time you may be ordered to remove the encroaching structure. When you shift the risk to us, the transaction can close – on time. And you can move in as scheduled, saving any additional costs and inconvenience. Title insurance provides coverage where traditional methods stop. In theory, purchasers and lenders have limited protection provided by the land registrations or by the Torrens system of land registry and a lawyer’s/notary’s opinion letter or Certificate of Title. They may recover loss from a lawyer’s professional liability fund (or provincial land title assurance funds where applicable). In practice, to collect from a lawyer’s professional liability insurance fund, lawyer or notary negligence must be proven (legal costs paid by you). Payouts by land title assurance funds are rare… and many things like certain types of fraud and forgery, zoning and by-law infractions simply are not covered. First Canadian Title’s title insurance provides superior protection and enables you to save time and money when purchasing your home. First Canadian Title, a great name in real estate protection. First Canadian Title broke ground in Canada in 1991. We pioneered title insurance in this country, and last year the total amount of residential and commercial policies we issued increased 42% over 2000. We are Canada’s leading provider of title insurance and other real estate related products and services. And as the Canadian arm of one of the world’s largest title insurer’s, First American Title Insurance Company, our corporate financial strength and stability are second to none in this industry. Headquartered in Oakville, Ontario, we do business in every province and territory and must meet the rigorous standards set by the office of the Superintendent of Financial Institutions (OSFI) and the Financial Services Commission of Ontario, as well as the other provincial/ territorial regulators. 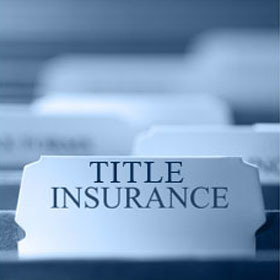 For your free download about Title Insurance, please visit the link below.